The color green has quite the fascinating history. The ancient Egyptians associated the hue with renewal; during the Middle Ages, the tone came to symbolize wealth; and at the turn of the 18th century, a popular blend of the pigment was actually deadly thanks to a toxic makeup. 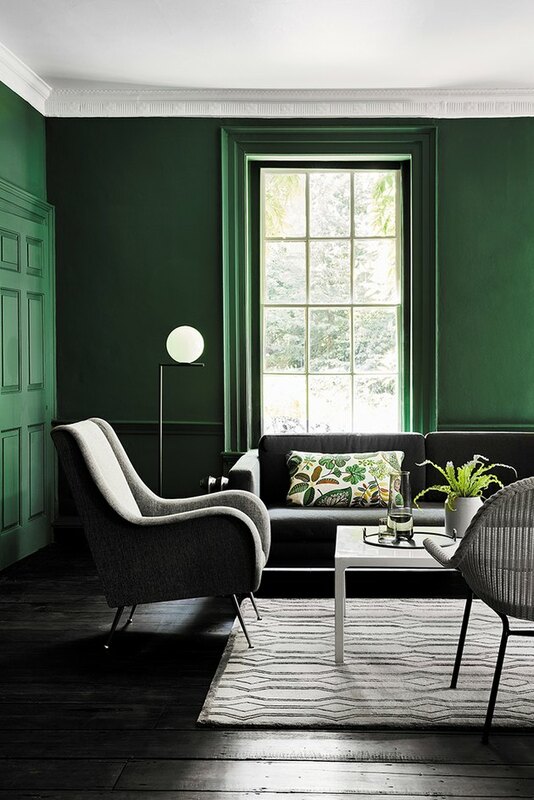 When it comes to decor, some might see it as a risky color (after all, green doesn't always blend into the background), but thanks to Pantone's 2017 Color of the Year ("Greenery"), it's made a healthy comeback in the home — and especially in living rooms. So yes, these 11 spaces will make any visitor green with envy. Every project Australia's Three Birds Renovations works on deserves praise. 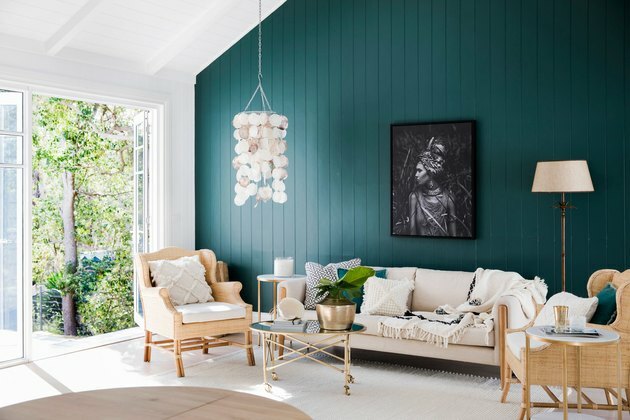 We especially appreciate the balance of pizazz and restraint in this living room, which features a single paneled wall painted in Dulux's Frontier, a bluish-green. 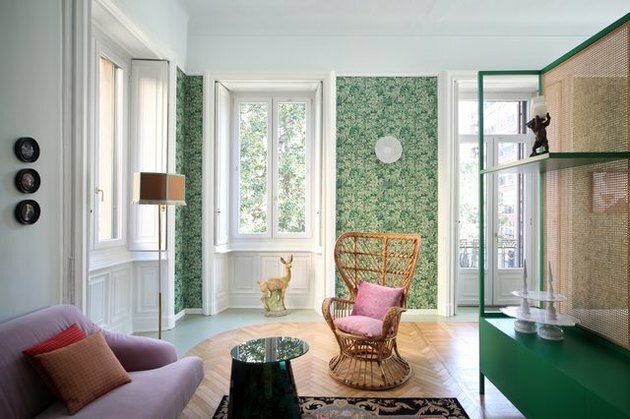 This Italian apartment seriously makes us wonder if it's time to invest in some luxury wallpaper. 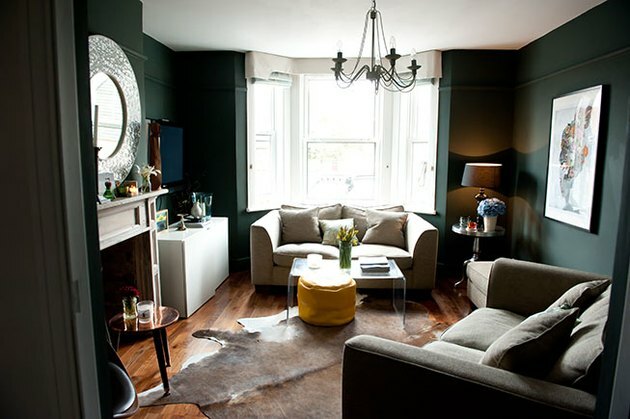 Even with the room's eclectic mix of accents and furniture, it's not overwhelming. 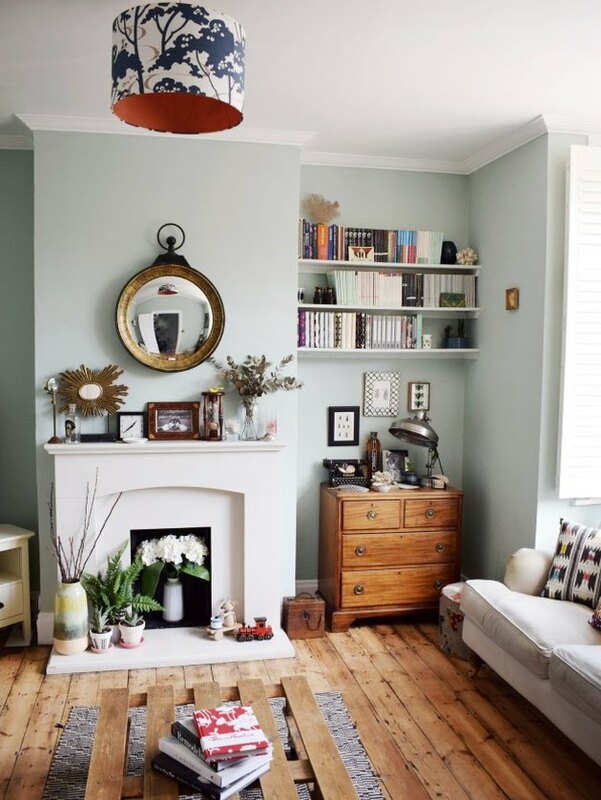 Loving Scandinavian-inspired interiors? Us, too. While their default color scheme might be stark white, Swedes are also experts at figuring out how to incorporate subdued hues. 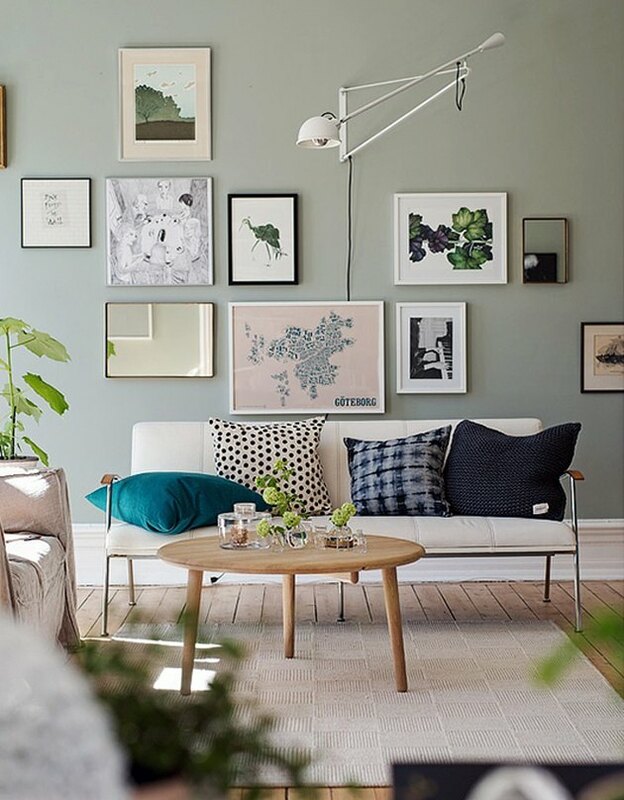 In this case, a cool sage green makes a gallery wall all the more interesting. Color blocking is one inexpensive way to bring real sophistication to a room. This space contrasts a dark green against a brighter verdant hue, while an alternate accent color (blush) brings the eye up to take in the entire colorscape. 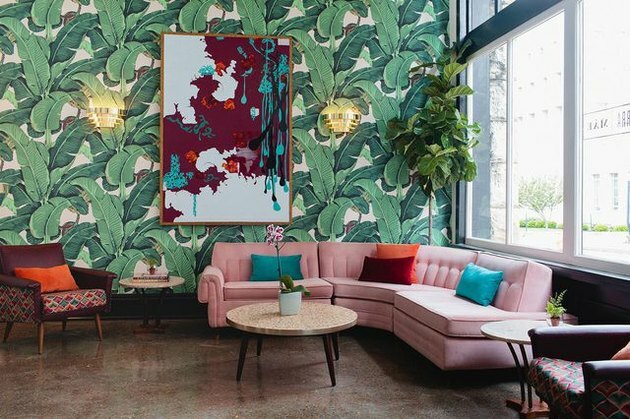 At the Dwell Hotel in Tennessee, an unmissable accent wall covered in palm-patterned wallpaper plays the perfect backdrop to revitalized midcentury accents. Over in Amsterdam, RA. Studio used green textured walls to create a design that is dripping with luxury. 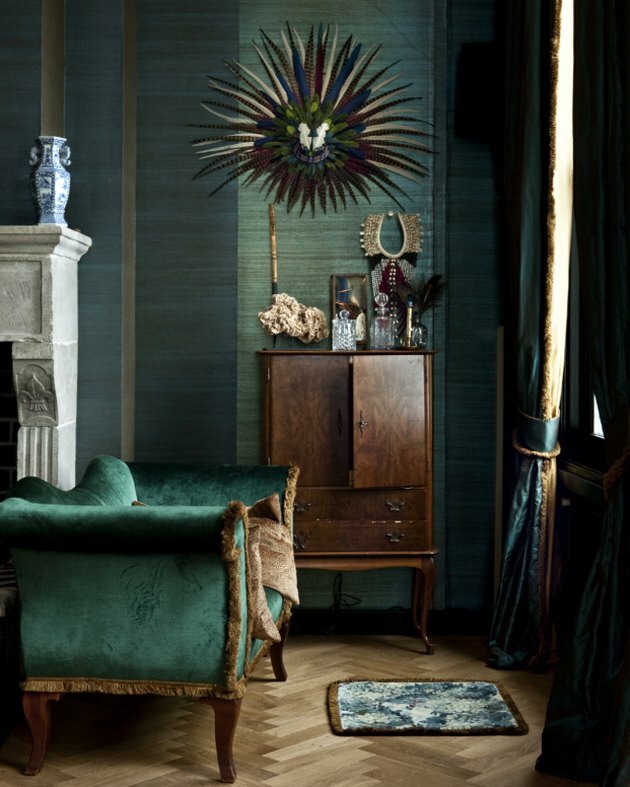 While installing fabric panelling would probably cost you a pretty penny, this does inspire us to hang green velvet drapery in portions of a room to create extra depth and texture. Design Love Fest advocates bringing green into your living room — just bring greenery with it. 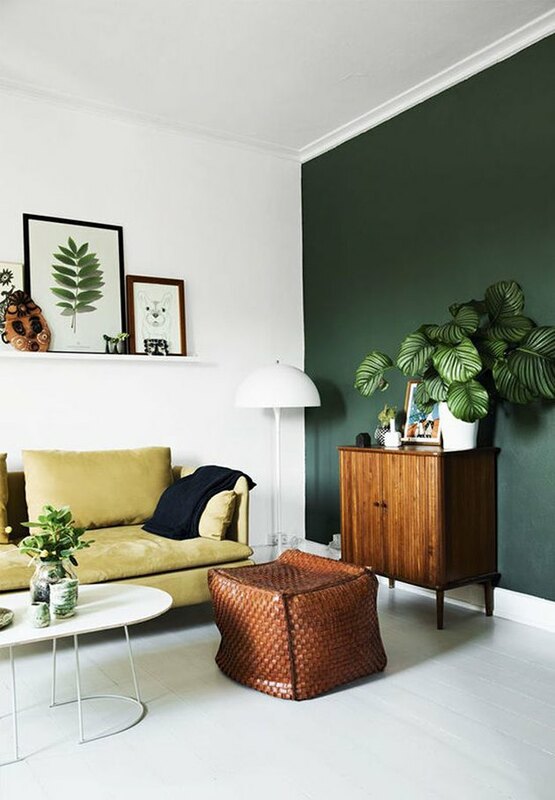 This bold, hunter-green accent wall anchors the room's design and enhances the plant life. 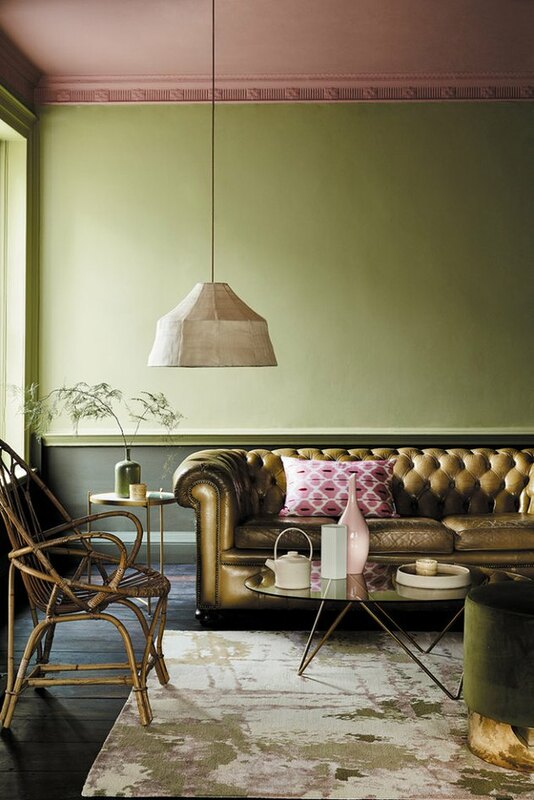 Design Soda shows that green can act like a neutral hue when styled right. Using Farrow & Ball's Teresa's Green as a backdrop, the rest of the canvas is filled in with eclectic details. It's a myth that dark colors make small spaces feel even smaller. Proof: This living room, painted in a deep forest-green, which feels ridiculously cozy and chic at the same time. 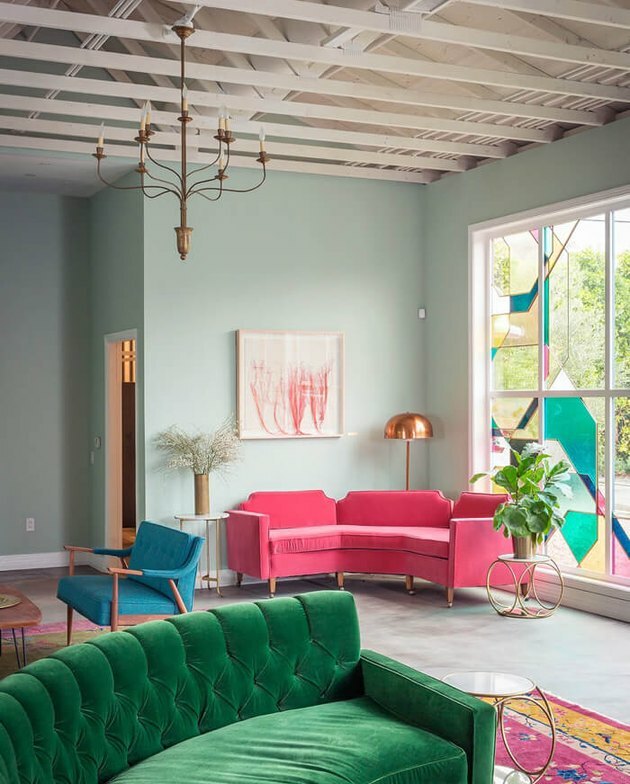 Emily Henderson's interior design for the Fig House — an L.A. events space — uses a playful light green to make pops of color really, well, pop. Want to bring old world vibes to your space? There's something about an emerald green that feels classic and elevated at the same time.